Paying more for car insurance based on zip? Please plan to join Georgia Watch for our Annual Consumer Champion Awards and 15th Anniversary Celebration on October 12, 2017 at the home of Governor and Mrs. Roy E. Barnes. Sponsorship opportunities are available. 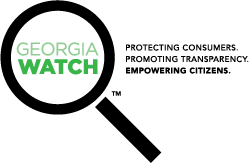 Contact Liz Coyle at 404-525-1085 or lcoyle@georgiawatch.org for more information. Georgia Watch sent a letter to State Insurance Commissioner Ralph Hudgens urging him look more closely at how to protect Georgians from insurance companies that do business in the state that may charge higher auto insurance premiums for minorities than whites, based upon where they live. Recently, the Consumer Federation of America reported on analysis of federal consumer expenditure data showing that African Americans and Latino or Hispanic households pay a disproportionately higher rate of premium for their auto insurance than whites do even when driver risk factors are the same. The findings amplify concerns about the high cost of auto insurance, especially for low- and moderate-income Georgians, who are required by law to purchase coverage to drive. Data from recent studies also indicates that often minorities receive less coverage for the higher premiums that they pay. According to data from the Federal Insurance Office, almost 200,000 Georgians – more than 4% of the state’s population – may be affected. The Centers for Medicare and Medicaid Services (CMS) has proposed new regulations related to the informed consent documents patients receive prior to elective procedures in hospitals. These documents are critical to effectively engaging patients in decisions about their healthcare. However, oftentimes these documents can be unhelpful or difficult to understand and are typically provided to the patient just before treatment when the patient is vulnerable and less likely to ask questions. Starting July 1, Blue Cross Blue Shield of Georgia is implementing a new policy that may result in unpaid bills for patients on the individual market who go to hospital emergency rooms for non-emergencies. Anthem, the parent company of Blue Cross in Georgia, offers insurance in 14 states and has implemented similar policies in New York, Kentucky and Missouri. This decision will impact many Georgians because, for 96 of the state’s 159 counties, Blue Cross is the only insurer on the Affordable Care Act (ACA) exchange. Georgia Watch has authored this post to provide guidance about where to seek care to avoid an uncovered ER visit if you have Blue Cross Blue Shield. Georgia Watch and Energy Efficiency for All partners are hosting an Energy Equity Forum in Camilla, Georgia on October 7th at the Southwest Georgia Regional Commission. 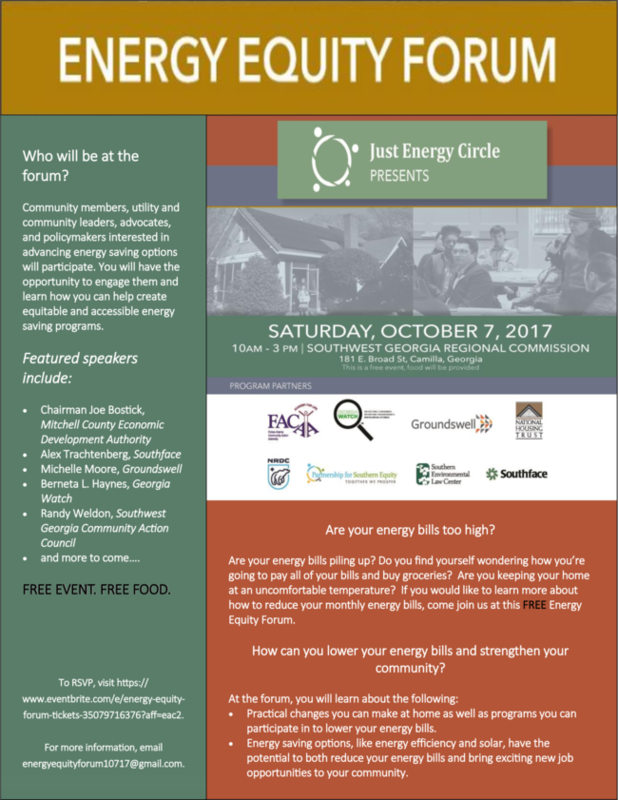 The forum will bring together community members, utility and community leaders, advocates and policymakers to discuss how to reduce energy bills and make solar and energy efficiency more accessible to southwest Georgians. To learn more, download the flyer here and email energyequityforum10717@gmail.com.